Still standing sixty years after graduation is an occasion for reflection. We are ones who became Canadian Services College (CSC) recruits when Louis St. Laurent was Prime Minister and Dwight Eisenhower was in the White House. World War II was still strong in memory, there were six teams in the NHL and Elvis began his musical career. We were diverse Canadian teenagers from across this country, full of energy and anticipation of an exciting life ahead. Now, in our eighties, we can look back on the variety of experiences and careers that have lead us to retirement and a reunion with old friends made a lifetime ago. 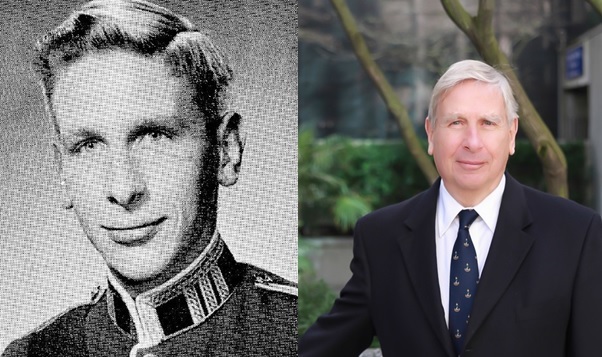 The influence of those years at Canada’s military colleges has shaped us and contributed greatly to who we became and even to who we are today. What did we really take away from the CSC experience? Surely it was not the academic detail absorbed in our classrooms. For example, electrical engineering students studied vacuum tube circuits and military studies were based on tactics and strategies developed during the then recent world war. These and other states of the arts have long fallen away to obsolescence. What have lasted throughout our lives are the values instilled in us of camaraderie, teamwork, physical fitness and self-discipline. We were taught that to be a leader one must first learn how to follow and never to ask someone do to something one has not done or would not do oneself. These attributes never lose their relevance, and in absorbing them we have gotten the seeds of success and the benefit of lasting friendships. Looking back over those sixty years we can realize what RMC has really given us, and continue in the knowledge that being a graduate is an honour that can be worn with pride. The same is true 65 years after graduation. I am forever grateful for those things which were instilled in me at Cansercol RRF and RMC. You have said it well. So very well said sir. We were there for our 55th with a wonderful turnout of old friends. Hope to make it to 60th and beyond. Our lives have indeed been guided and enhanced by the experiences of our youth at the CMCs. Michael: An insightful and warm expression of what it means to be a graduate of the Canadian Service Colleges … my thanks for sixty-plus years of friendship. Your classmate … Phil.